You are here: Immigration Vietnam Visa > Questions > What is the easiest way to obtain Vietnam entry visa? I know the procedure to obtain a visa at Vietnam Embassy is quite complicated and requires a lot of paperwork. Is there any way to obtain Vietnam visa in the simplest and cost-saving method? I need your help! No worries. The procedure to obtain Vietnam Visa is no longer complicated at all with Vietnam visa on arrival service. With this method, you will pick up your real visa at Vietnam airport with an approval letter issued by Vietnam Immigration Department. The total fee for Vietnam visa on arrival is much cheaper than that of Vietnam Embassy and you do not need to go back and forth to Vietnam Embassy for completing the visa process. 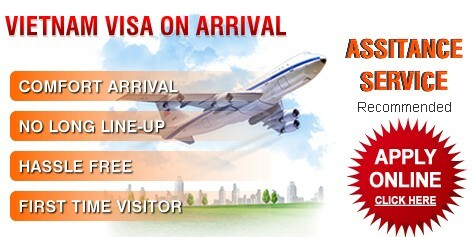 For more information about Vietnam visa on arrival, kindly check here. Can I apply for Vietnam visa with US green card? Previous post: How many times can I get Vietnam visa extended? Next post: I had a Vietnam visa but was unable to travel,will this affect my chance to obtain future visas?